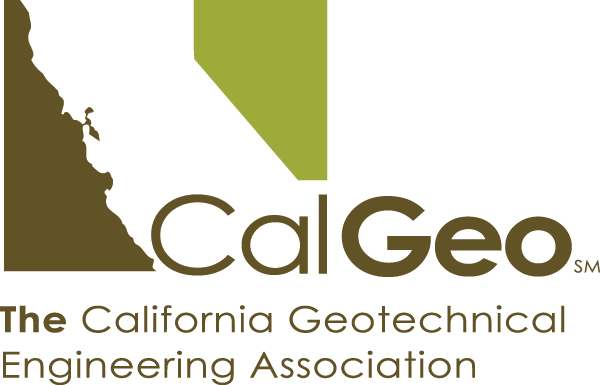 CalGeo will be holding morning and afternoon short courses ahead of our Annual Conference on April 9th and 10th, 2019. Short courses will be at the Kona Kai Resort on Shelter Island, San Diego, CA. Time and time again, PSMJ research shows that transition planning is one of the biggest long-term challenges facing A/E/C firm leaders. Many are struggling to answer the question of who will run their firm tomorrow. But, instead of taking action to develop and implement a proven transition plan, too many firm leaders are putting it off...instead staying focused on near-term client demands, keeping backlog high, and other day-to-day priorities. However, ignoring transition planning puts the firm's capitalization, clients, and employees in great jeopardy...to say nothing of the evaporating shareholder value that is a near certainty. For more than 40 years, PSMJ's transition planning experts have been helping A/E/C firm leaders to avoid the land mines and capitalize on the proven strategies that work to manage affordability, leadership development, and all of the other facets of this complex challenge. Many of these ACTUAL transition planning mistakes that we've helped to fix or manage likely seemed innocuous at the time, but the impact was severe. Members: $500 Early bird before Feb. 10, $650 after. Non-members: $750 early bird before Feb. 10, $900 after. Compliance Options and Strategies (how to satisfy the prevailing wage rate and apprenticeship requirements, classification/mis-classification issues, etc.). Prevailing wage developments beyond those that apply to public works projects. Members: $135 Early bird before Feb. 10, $150 after. Non-members: $225 early bird before Feb. 10, $250 after. Rocscience is back with their popular half-day short course on 2-dimensional and 3-dimensional slope stability analysis. The objective of this course is to provide a background on numerical modelling for slope stability analysis using various Rocscience software tools (Slide, RS2, Slide3). Get the most out of the Rocscience slope stability suite through a balanced mixture of lectures and hands-on computer analysis using practical examples collected over the years. Please bring a laptop with Rocscience software or download a trial version ahead of time. Dr. Robertson will be demonstrating two software programs used to interpret CPT data through example data and case histories. This is a hands-on demonstration so please bring a laptop with the software or a trial version installed. Visit Geologismiki's website to download a free trial. CPeT-IT takes Cone Penetration Test raw data and performs basic interpretation in terms of Soil Behaviour Type (SBT) and various other geotechnical parameters using the current published correlations based on the comprehensive review by Lunne, Robertson and Powell (1997), as well as recent updates by Professor Robertson. A unique 2D feature provides a means of creating colorful contour maps of the overall liquefaction potential index (LPI) and post-earthquake vertical settlements in plan view thus allowing the user to visualize the spatial variation of liquefaction potential and settlements across a site. The variations of calculated post-earthquake settlements across a site allow estimates of differential settlements for a given site and design earthquake. A parametric analysis feature allows the user to vary both the earthquake magnitude and surface acceleration to evaluate the sensitivity of both the overall liquefaction potential index and post-earthquake settlements as a function of earthquake loading and results are presented in a 3D graphical form. **Welcome reception (Wednesday 6-8pm) ticket can be purchased for an additional fee. Please join us! We apologize but the CPT portion and therefore the full-day bundle package is SOLD OUT. You can book online through our group portal or make your reservation by calling: 619-819-8175 and speaking with Liz Roesler. You can also reach her via e-mail and she will be more than happy to help you. Our group rates start at only $199/night and include reduced rates for self-parking and WAIVED RESORT FEE (normally $27)!